What do you get when you take two cheap-o LCD key chain picture frames and add it to an classic kids 3D picture disc viewer? 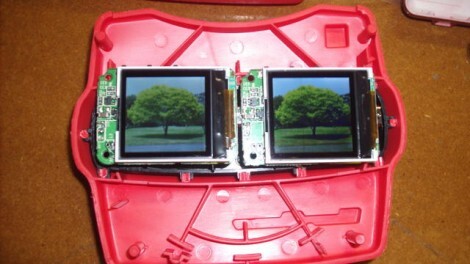 You get something magical… No, not really but you do get a hand held 3D image viewer that you can load up with your favorite stereo pairs. Nice to know that if I’m ever in Tokyo and need a place to sleep I can just hunker down in an Internet cafe for the night. Apparently there are a few thousand people that just can’t get enough work to afford an apartment in Tokyo. You have to remember that when you undertake the renting of an apartment you have to pony up about four months worth of rent as the down payment. Ouch! You also have to have a co signer in case you can’t make the rent, if you don’t have one of these your out of luck. It’s no wonder that these guys will spend 980 yen ($US) for a place to sleep. The deal breaker is the free coffee and soda that the cafes offer. The X PRIZE Foundation and Google Inc. (NASDAQ: GOOG) today announced the Google Lunar X PRIZE, a robotic race to the Moon to win a remarkable $30 million prize purse. Private companies from around the world will compete to land a privately funded robotic rover on the Moon that is capable of completing several mission objectives, including roaming the lunar surface for at least 500 meters and sending video, images and data back to the Earth. No one has eve said that space travel is easy. It may possibly be the single hardest task to accomplish in the world. It’s full of risks, high costs, the potential for catastrophic disaster is high. But the long term rewards are fantastic. The knowledge gained by undertaking such a task could benefit mankind for years to come. If your one of those people that think that thing like the exploration of space and a contest to get robots to the moon is just a waste of time and money I’d like you to give a long hard look at what your reading this on. If it’s a computer, and I bet I’m right, then you yourself have already reaped the rewards of technology that was pioneered for space exploration. No matter how you slice it, setting a mark and offering people a chance to excel breeds innovation and advancements that the entire world benefits from. Space Shuttle Mission STS-118 is Underway! Today the latest space shuttle mission to the International Space Station launched without a hitch. One goal of this flight is to deliver a third starboard truss segment to the space station. Very good to see the crew made it back safe and sound.